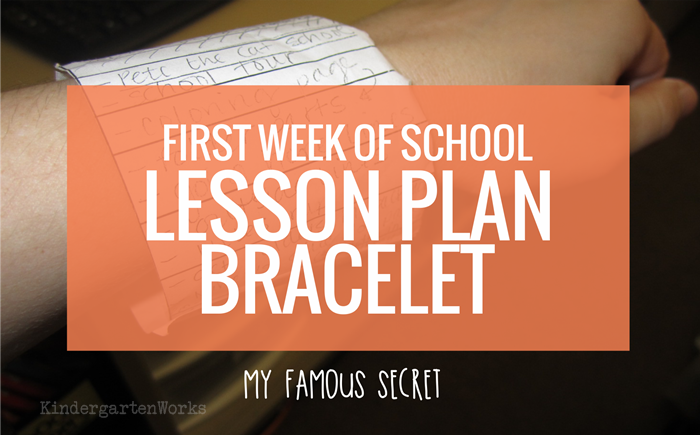 Here’s why I need this lesson plan bracelet and then I’ll show you how I made it. During the first week of school, we change activities so frequently. 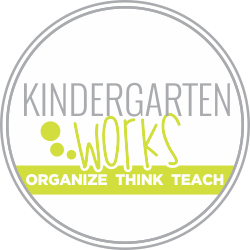 During the first week of kindergarten there is no “routine” yet. I need it to make sure I hit all of the procedural things like a gazillion times. This is my solution. 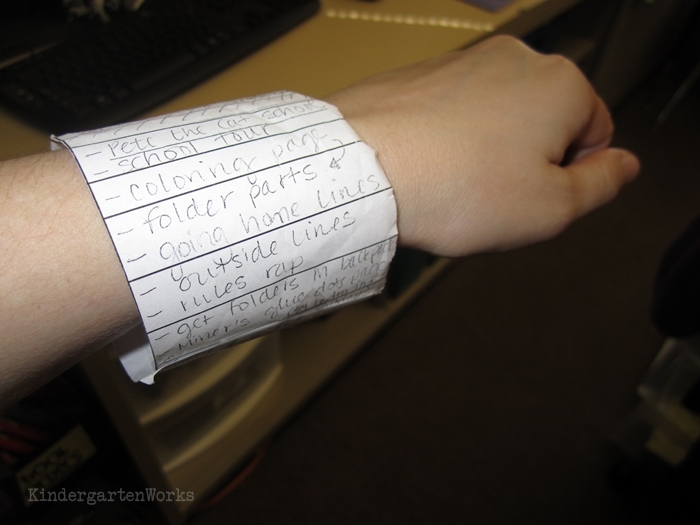 I cut the day’s lessons from my lesson planning binder into a strip and wear it around my wrist like a bracelet. 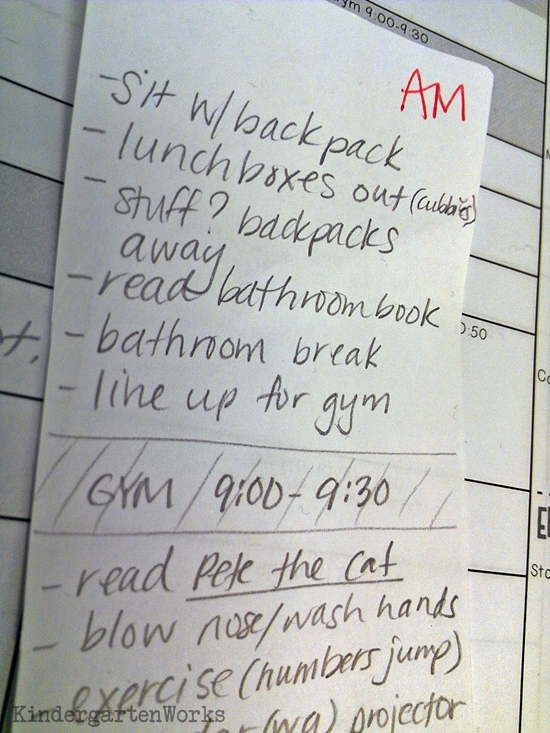 My only other option really was to stick post it notes all over myself or keep running back to my lesson plans to see what are the next three things we’re doing. Constantly. Because wiggling bodies keep distracting me and I literally forgot what I was saying and doing. I prefer my lesson plan bracelet. So the things I plan to teach on the first day of kindergarten are actually all on my lesson plan bracelet. Okay, well, on 2 bracelets. My wrist is small and I wanted a tight fit so I simply broke it up at lunch made an AM bracelet and PM bracelet. I know what I want to accomplish and create a good order that will allow for tons of movement opportunities and things broken up into 15 minute chunks. I use the bracelet as long as I need to during the first few days/weeks of school. My previous student teacher from two years ago used the bracelet for something similar when she wanted to keep better track of how many verbal warnings she gave out. She made herself a paper bracelet to mark tallies on and voila – simple solution! How could a bracelet like this make your life easier? It’s worth a shot! 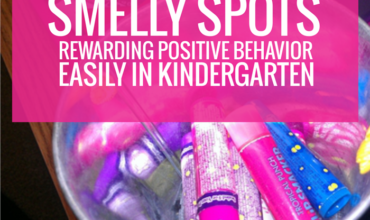 There you have my secret to staying sane and making sure I hit everything the first week of kindergarten. A simple little bracelet that really works. You may want to get this tip and 8 others sent directly to your email over the next 2 weeks with my free Back to School Bootcamp course. 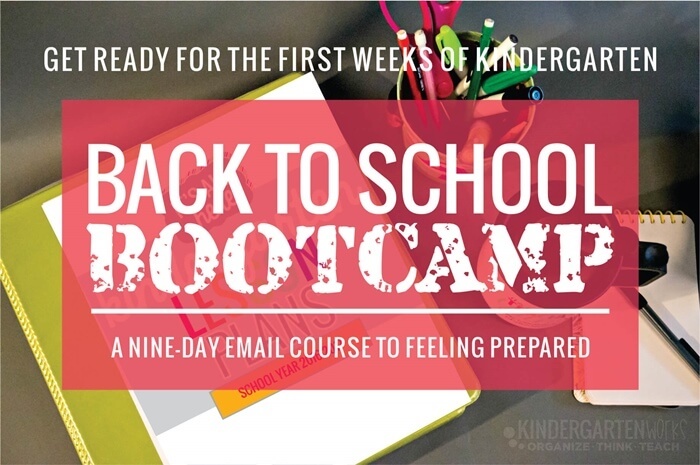 You’ll get my best on starting kindergarten and be on your way to feeling more prepared than ever! Yup! I look kind of crazy the first week with this on, but I don’t care. It does work!! Do you still read the “bathroom book?” What’s the title, please? I’ve got a bathroom in my classroom this year, and want to really hit all bases, going over use, etc. Hi Judy, Did you give it a try? Did it work for you? I love the bracelet idea! I’m sooooo doing this next year! Thanks! This is the greatest idea ever! I have a formal observation coming up and I still get so nervous! I think I’ll make and wear one of these so I don’t forget to do everything I have planned! That’s one of those, why didn’t I think of that things! Great for reminders, how kiddos are getting home ect. Thanks for sharing! Oh yes – great idea! I’ve even made bracelets for reminder for them before too, but I forgot about those until I read you mentioning about “going home.” Ha! Thanks! Thanks Renee! Can I tell you that I love your letter mazes?! Used them with a small group of kinders who needed some additional letter recognition/discrimination practice and they were perfect! Thanks! 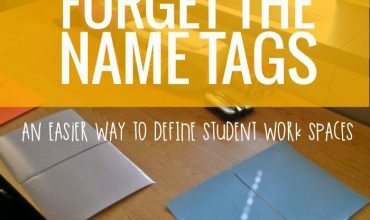 I like the idea of marking how many verbal warnings – I have a few students who I feel like I give a million warnings to because I can’t remember when I gave the last one!! Thanks Jill – hope it helps as you bring those millions down 😉 to a decent number. I think I totally could’ve used it for the same purpose two years ago with a particular class!